Lately on social media and the blog I've been talking a lot about getting back to the basics of healthy hair care. It was driven in part by my laziness (when you're lazy about your hair it shows, and don't let anybody tell you otherwise!) in caring for my hair, and in part by the fact that my curls seemed a little lackluster after getting color almost a month ago. They didn't seem really damaged (although I started noticing an increase in little wisps of breakage), just dry/rough and a little limp. Like, on the precipice of damage. My hair was essentially at the point where it was telling me "if you don't do something like, now, you're gonna regret it." I'm no sucka, so I listened. One of the first things I did was run to Sally's and pick up the Keratin 2 Minute Reconstructor, because I knew my colored strands could use some serious strengthening and pH balancing. 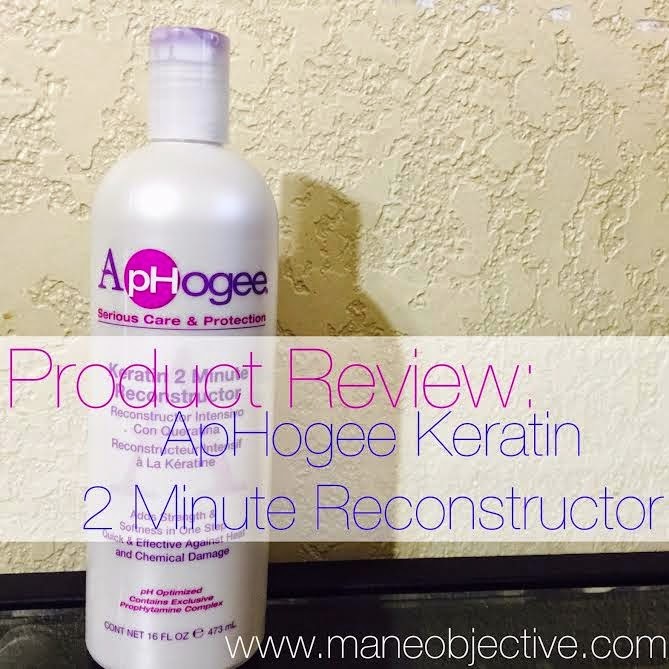 It's important to note before I start the review that the ApHogee Keratin 2 Minute Reconstructor is different from the ApHogee 2-Step Protein Treatment. The Reconstructor (which this review is about) is more of a conditioner. The 2-Step Treatment involves an intense protein mix that makes the hair stiff (and smells awful). I'm trying to avoid the 2-Step Treatment like the plague, which is why I opted for the Reconstructor. sidebar: if you find yourself using this ingredient list, please properly attribute it to me. It took A LOT of effort to type this out -- the ingredients lists for Sally's and Naturally Curly.com do not accurately reflect the ingredient list on the bottle. Glycerin: Generally vegetable-based humectant that absorbs and retains moisture from the air. Stearalkonium Chloride: Cationic surfactant derived from stearic acid, a fatty acid found in plants and animals. It is an antistatic agent, and positively charged salt that attracts and binds proteins, which are negatively charged. It is found to increase luster and improve the condition of wet or dry hair, often serving to detangle the hair. Cetyl Alcohol: Considered "fatty alcohol" -- NOT to be confused with drying alcohols such as ethyl. Acts as a lubricant, thickener, and emollient. Gives conditioner its velvety feel without making hair greasy. Also used to keep product ingredients from separating. Mineral Oil: An occlusive agent that creates a barrier between the hair and the air, acting as a sealant. Hydrolyzed Keratin: Protein that is responsible for keeping the hair strong and pliable. This is the strongest of the(hair product) proteins and is actually the one that hair is made from. Keratin restructures hair that has been damaged or broken down by chemicals. It helps to replace the amino acid cysteine (the main one lost during chemical processing).When Keratin or any protein is hydrolyzed, the molecules have been broken down and are small enough to go beyond the cuticle and penetrate the hair shaft. It will strengthen all 3 layers of the hair. Hydrolyzed Vegetable Protein PG-Propyl Silanetriol: Also known as Keravis Protein, a vegetable-derived protein and silicone blend that was designed specifically to strengthen, fortify, and revitalize dry and damaged hair. Although its composition makes it not Curly Girl-friendly, Keravis protein is able to penetrate the cortex of the hair, helping to build strength from within while coating and conditioning the hair to protect the surface. The end result is hair with significantly improved tensile strength, which helps reduce the damage our hair sustains from dye jobs, environmental factors, and mechanical stress from styling. Availability: ApHogee products in general are available pretty much everywhere from your corner store BSS to Sallys and online retailers like CurlMart. I purchased mine from Sally Beauty Supply. Affordability: One of the good things about the Keratin 2 Minute Reconstructor is that it comes in a number of different sizes. If you just want to give it a one-time try, there's a 0.75oz packet for under $3. There's also an 8oz bottle for less than $8. I chose the best value and opted for the 16oz bottle for around $11. It's not wildly expensive, and can easily fit within any given product budget. If you use it as intended (every few weeks or monthly), it will last a long time. Product Claim/Description: Adds strength & softness in one step. Quick & effective against heat and chemical damage. ApHogee products are pH optimized for maximum results and contain our exclusive PropHytamine Complex, utilizing precise levels of protein for strength, emollients for shine, and humectants for softness. Repair and protect your hair with ApHogee. This blend of keratin amino acids, botanical oils, and vitamins restores elasticity and softness to dry, brittle hair. In minutes it penetrates and repairs damage caused by chemical services, styling, and heat. Dry, itchy scalp is eliminated. Even bleached, permed, or relaxed hair feels healthy again. ApHogee Keratin 2 Minute Reconstructor helps displace mineral deposits from swimming pools and hard water. Recommended for weekly use until hair feels and appears healthy again. Performance/Delivery: When it comes to pH and protein/moisture needs, I always look to ApHogee. I feel like they never steer me wrong. I love the Keratin & Green Tea Restructurizer Spray, Curlific Texture Treatment, and Curlific Leave-In Conditioner. I had zero expectations for the 2 Minute Reconstructor, because it was difficult for me to find comprehensive reviews for using it on natural hair online. I just figured at best, it would work and at worst, I'd be returning it to Sally's. But this bottle ain't going back! I couldn't send it back if I wanted to -- it's empty! I wanted to use it at least 4 times before I gave a review, because I wanted to get an honest feel for the reconstructing capacities of the product over time. Honestly, I'm in love. It has become a new staple in my regimen. The Keratin 2 Minute Reconstructor has me realizing exactly how much I needed a super-duty protein treatment in my regimen. I used it the exact same way each time on wash day. While in the shower after cleansing (with either a cowash or shampoo), I applied the ApHogee Keratin 2 Minute Reconstructor for 5 minutes. After I rinsed it out, I applied a moisturizing deep conditioner to balance the protein I had just infused into my hair. The moisturizing deep conditioner was just an extra step, by all counts it isn't vital. The 2 Minute Reconstructor does an excellent job of keeping the hair soft, pliable, and moisturized while infusing the protein necessary to strengthen the hair. 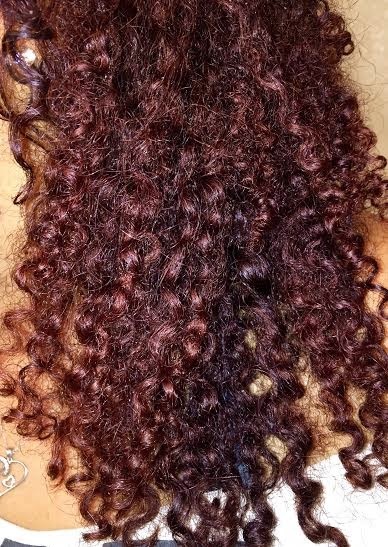 Normally during the course of wash day, I lose a good amount of hair and find a handful of wisps of breakage from weathered ends (we'll discuss how much breakage is considered 'normal' on another day). I noticed that each time I used the 2 Minute Reconstructor, my shedding significantly decreased. 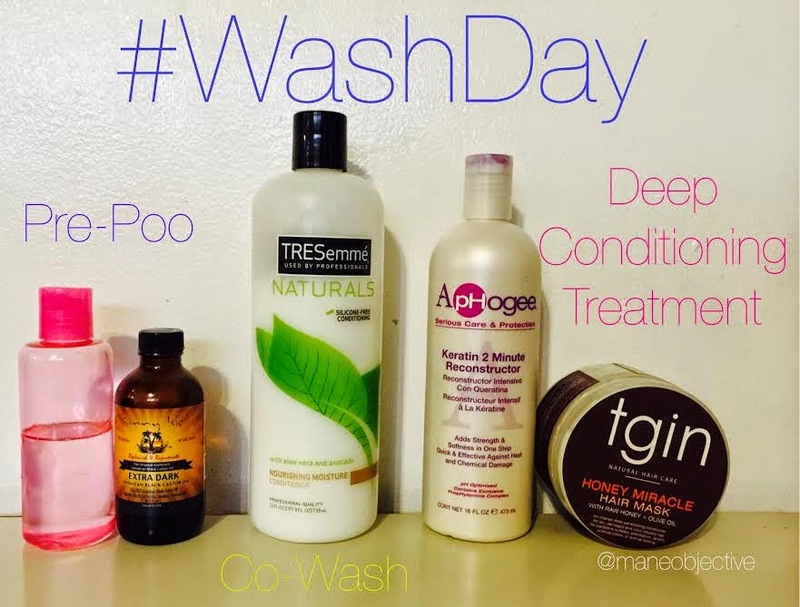 The photo above shows what I'm losing on wash day now. This much hair, or less. Prior to incorporating the 2 Minute Reconstructor, I could easily run my fingers through my hair and pull out some wisps of breakage. But now, that phenomenon is virtually nonexistent. I'm not finding wisps of hair anywhere between washes and on wash day, I'm seeing two or three, tops. I also noticed that the areas where my hair felt rough due to the color have smoothed out. Although I'm sure it's just the protein temporarily filling the lifted cuticles from the dye, it's working. I'll take that over nothing! And my curls? Serious poppage! My curls seemed kind of blah before, but now they're spring loaded. My curl pattern has improved, and my hair has tons more body and vitality. As opposed to hanging and clinging on to dear life, they're fuller and stronger. My hair's elasticity has been restored -- hallelujah! Every ounce of damage that color job was about to do to my tresses has been undone. It started working on the first wash day, and just got better with each week. The Keratin 2 Minute Reconstructor has the consistency of a watery conditioner, similar to that of a hair lotion. It spreads and absorbs easily into the hair. It has decent slip and is able to be worked through the hair without snagging, although I wouldn't recommend using it to detangle (it IS a protein treatment). The smell is gentle, sweet, and in no way overbearing. Let's address the baby oiled elephant in the room -- mineral oil. Yes, it's in the top 6 ingredients after water, which means there's more than just a few drops. I seriously have not used mineral oil on my hair since my Lusters Pink Lotion days! I expected some big greasy monster to come out and bit me. But to my surprise, the mineral oil didn't adversely impact my hair. My hair didn't feel greasy, weighed down, or coated in buildup. I've written before about how mineral oil is overhyped as a no-no ingredient, and it looks like it's high time for me to take a sip of my own medicine. Do I wish it didn't have mineral oil in it? Yes. But even with the taboo ingredient, the 2 Minute Reconstructor works just fine. Drawbacks: Although the mineral oil doesn't hurt my hair, I'd still like it more if the product was mineral oil-free. Give me some coconut oil, castor oil, shea butter -- something! The Curlific line doesn't contain mineral oil -- they couldn't borrow some formulations from there? But hey, who am I to question the genius of ApHogee? Bonuses: I really like the fact that the Reconstructor only takes 2-5 minutes to work, and can be used weekly to restore the health of the hair. Another bonus is that it doesn't require sitting under a dryer to achieve maximum benefit. It's pretty much a foolproof treatment! Bottom Line: If your hair seems lackluster, or appears to have lost its vitality, this Reconstructor is a must. Fair warning though -- although it says it will repair chemical and heat damage, take that with a grain of salt. If you have severely damaged hair (like mine circa 2012), this product won't do much for you. But if you need to rebound from a flat ironing session or color job, this is the one. Especially if you're not interested in that 2-Step Treatment with the God awful smelling protein concoction. This Reconstructor, quite honestly, saved my hair! Best Practices: It pays to follow the directions on the bottle sometimes. I highly recommend using this only on clean (co-washed or shampooed) hair. It doesn't need to stay on the hair more than 5 minutes, I promise. 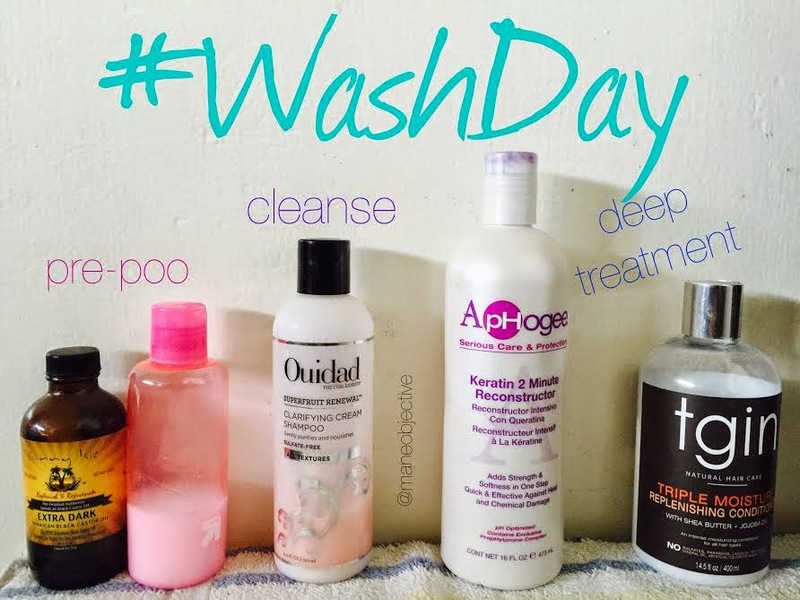 Lastly, try using it weekly or every wash day until your hair rebounds. After that, every two weeks or monthly should suffice for upkeep. Overall Product Rating: 4.5 stars. If they could swap out that mineral oil (and the petroleum waaaaaay at the bottom of the list) for something more natural but just as effective, I'd be a happy camper. But even still, this is a must-have, holy grail item for me. It's in my regimen to stay! Have you ever used the Keratin 2 Minute Reconstructor? I purchased the Reconstructor and am using it for the first time today. My hair has massive amounts of shedding all the time and nothing I seem to do has helped...vitamins included. I'm hoping this helps. I'm also taking to rodding my hair as a protective style and steering away from constant twist outs..Fingers Crossed!!!! My hair is color treated and it was recently straightened . I actually have the 2 step treatment but since it is a hard protein treatment I don't want to use it, since my shampoo/conditioner already has protein in it. Plus I didn't care for the results lol. O will try this 2 minute reconstruct or. This product has been a staple for me when I am too lazy to deep condition. It leaves my hair feeling soft. I do the 2 step every 6 months after I straighten and trim my hair. I agree the smell is treacherous lol. You always provide good reviews and tips thanks! Hope it works out for you -- that 2 step scares me. I tried it once and told myself never again. It gets so hard -- and when a product tells you on the label to be careful because it can snap your hair... I'm out. Lol. I use this faithfully when my hair was relaxed and i loved the results.I bought a bottle recently to try it on my natural hair. Loved the review!! I need to give it a try! Do you have hair color? I find that it shines on hair that has been chemically or heat treated (i.e. right after flat ironing). I don't know how it will behave on purely natural hair. Let me know how that turns out! Definitely give it a try! This product SAVED MY HAIR in one use! I've been experiencing breakage for months now. 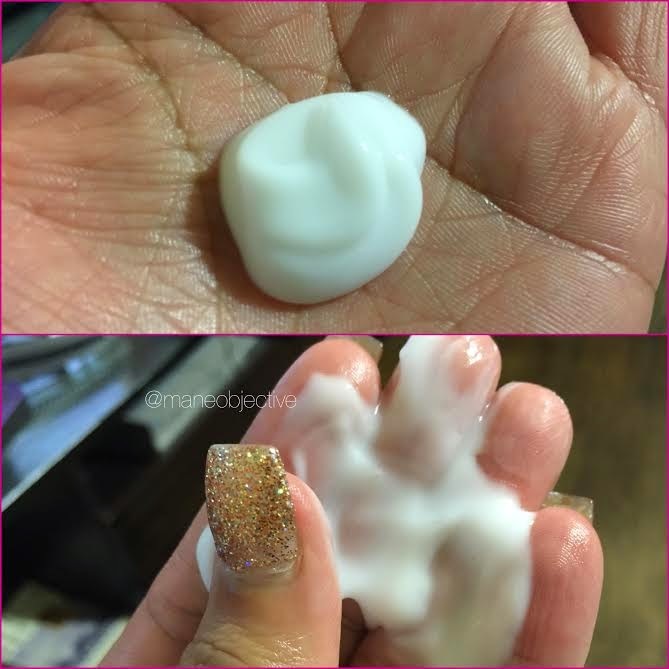 I used this product a couple days ago and I see about two wisps compared to chunks. Thanks for the review and recommendation. I sat under a hooded dryer for about 20 minutes and then followed with a moisturizing conditioner. Silky hair and most importantly, very minimal breakage. Thanks for your great review! I am going to try this product this evening for the first time. Hopefully it works. I've been a straight natural my whole life, but started wearing my curls in March of this year. I've noticed in the crown of my head and the back, my hair doesn't curl like the rest of my hair. It's more wavy to straight than curly so I have to manipulate that section when I have time. I hope I'm not protein sensitive and this works as I've watched Happy Curl Happy Girl and Ashkin Curls give it great reviews for their hair. Fingers crossed! I just used this product so I can't give you guys a full review but it has left my hair bouncy and full of life! I used it because I noticed wisp of hair falling. 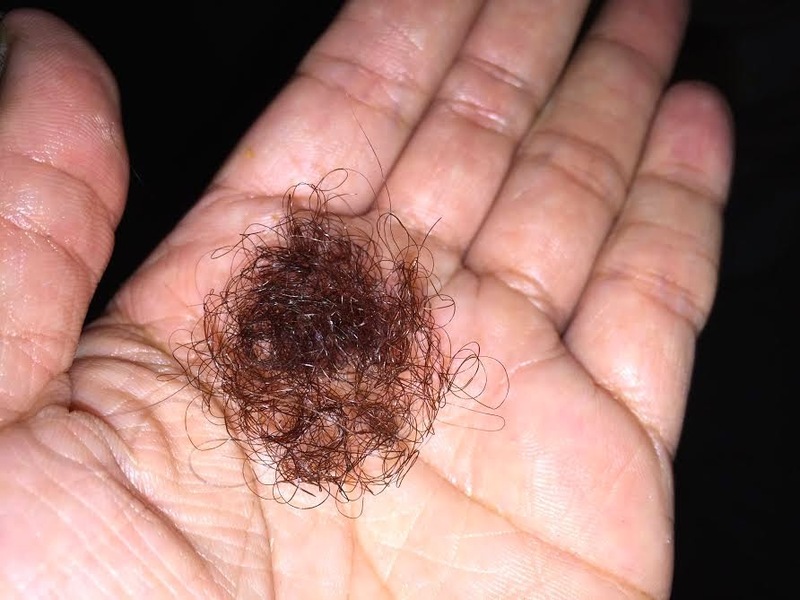 A couple of years ago my hair fell out pretty bad. I have longer hair now..shoulder length. I want to keep it that way. I believe I'm on the right path to beautiful hair. Back to using my Aphogee products-natural black hair w/permanent color. Experienced shedding-possibly from anesthesia, Rx meds and color combination. Using Keratin 2 Reconstructor, but can't remember if I also need the Balancing Moisurizer before the Leave-In Conditioner. Is the balancing moisturizer only for the 2-step treatment?